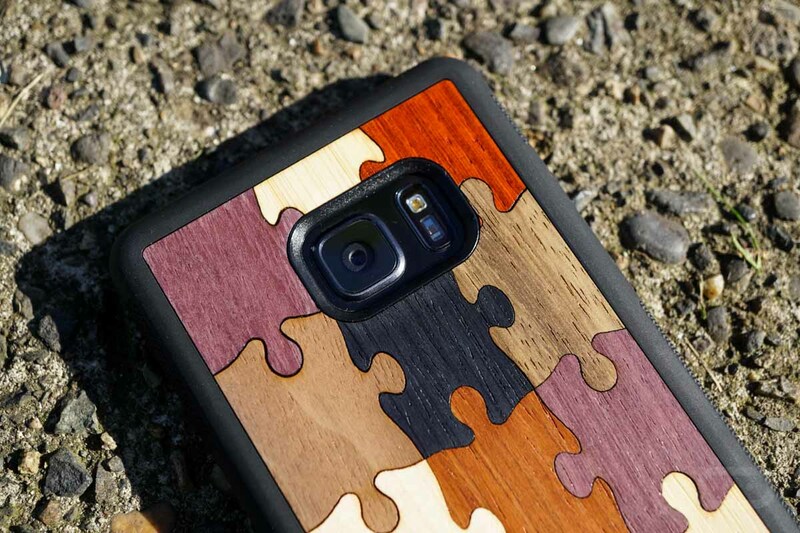 The Galaxy Note 7 has been available for a few solid weeks, but if you are still looking for just the right case to protect your precious investment, Carved has a new lineup that might suit you well. 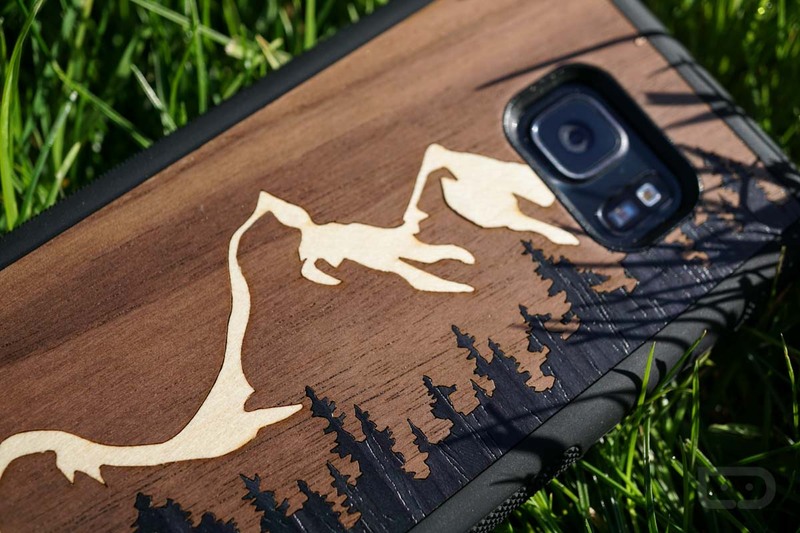 We previously took a look at Carved’s offerings for the Nexus 6P and Galaxy S7 Edge, coming away extremely impressed by the quality of the pieces. For the Galaxy Note 7, we asked to check out a few different options, and we are still very pleased with what we received. 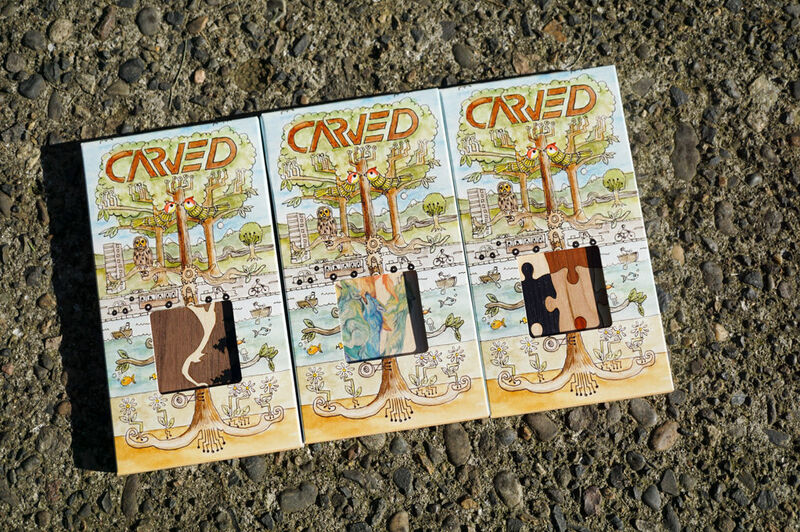 The three options we received are the Grand Teton Inlay, Random Puzzle, and the Katy Lipscomb Pack Print. Given the names, you should be able to spot which one is which rather easily, but if you can’t, I’ll dive into each one briefly. 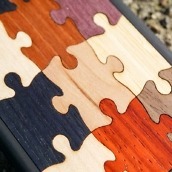 I’ll go with my favorite of the three to start, which is the Random Puzzle option. 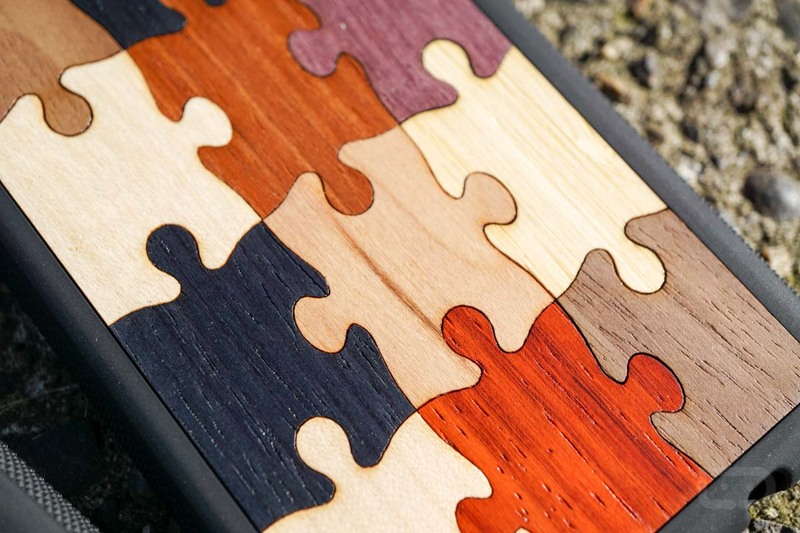 Along the backside, each puzzle piece is made from a different piece of wood, stained to give off a very unique vibe. 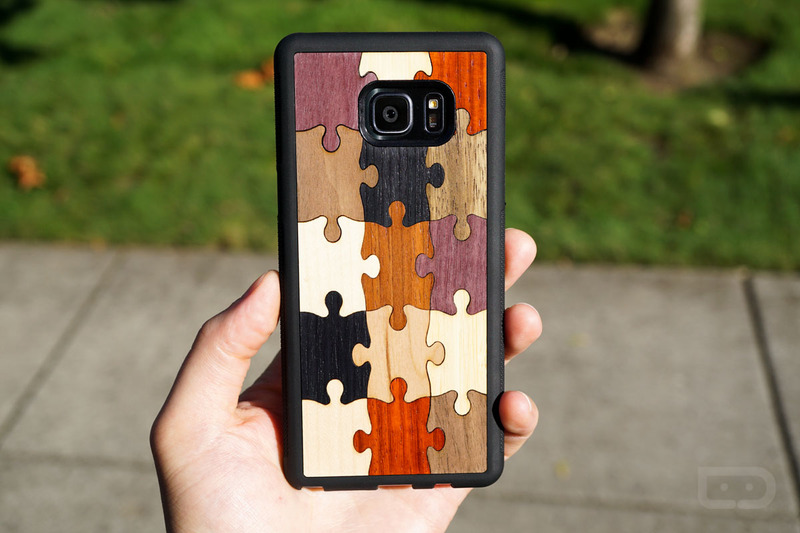 Provided real wood is being used, the pieces keep a certain texture that only wood offers, such as the little grooves and grain. 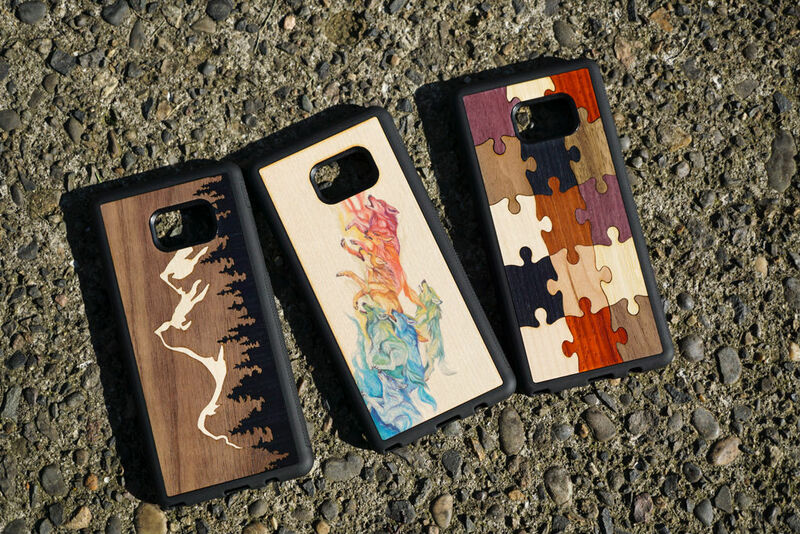 Also, each case for the run is made to order, so no two will look alike, only adding to the uniqueness. If you possibly follow me on Instagram, you will know I have two dogs, one of them being a wolf hybrid. 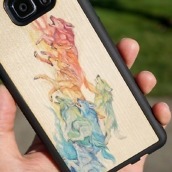 Basically, anytime I see something with a wolf on it, it must be mine. For this reason, the Katy Lipscomb Pack Print is my runner up case. 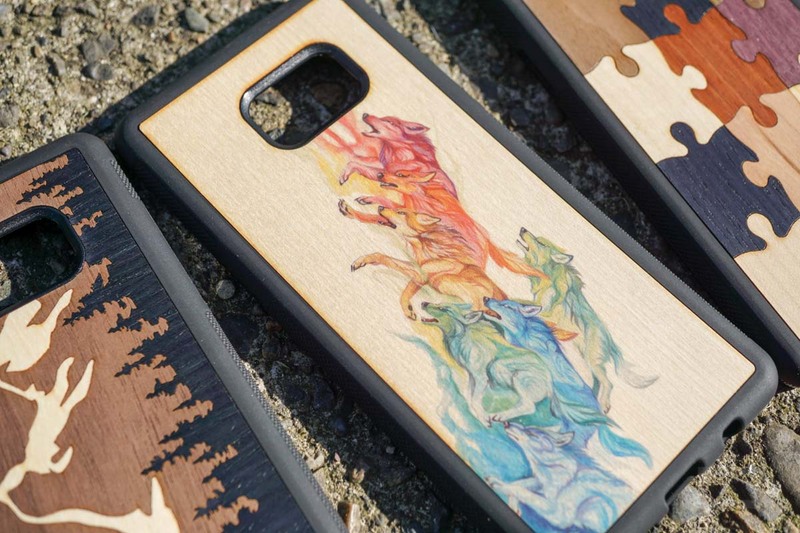 In the image, which is printed directly onto a piece of wood, we see wolves doing their thing, running and being wild. 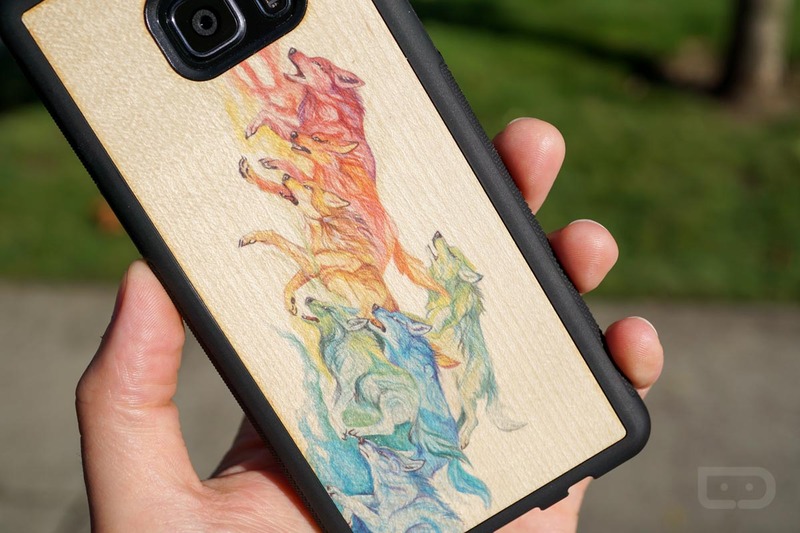 Each wolf is drawn in a different color, giving off a rainbow vibe. The artwork itself is very nice and matches well with the light background and black rubber wrapping. 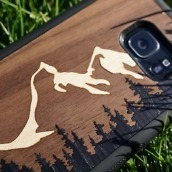 Last but not least is the Grand Teton Inlay. 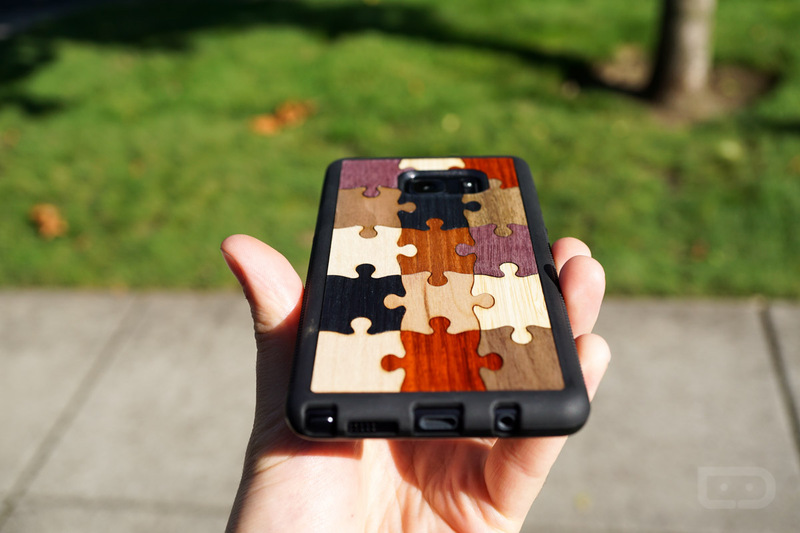 Using different cuts and colors of wood, a portrait of the Teton Range (Wyoming) is placed on the backside of your device. If you have ever visited this part of the US, you’ll know why a case was created to honor it. It’s simply gorgeous territory. 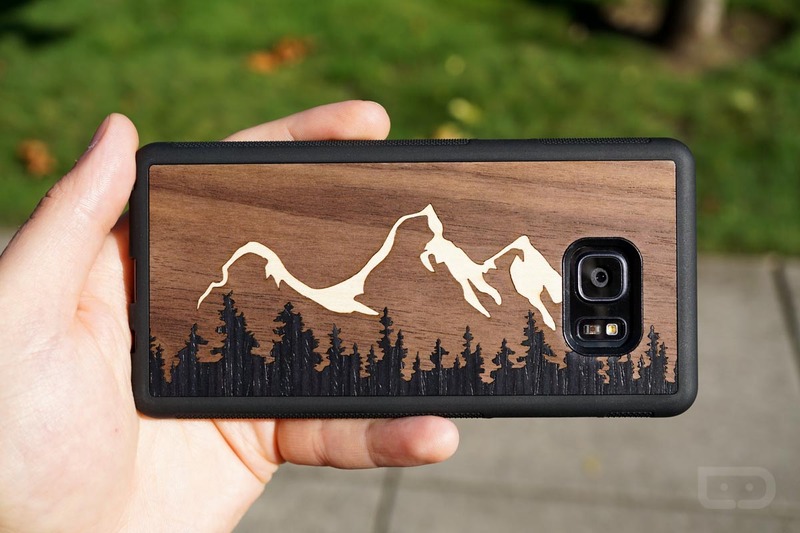 While the case doesn’t exactly capture each detail of the range, the outline is done rather well, complete with foreground trees and snowcapped peaks. 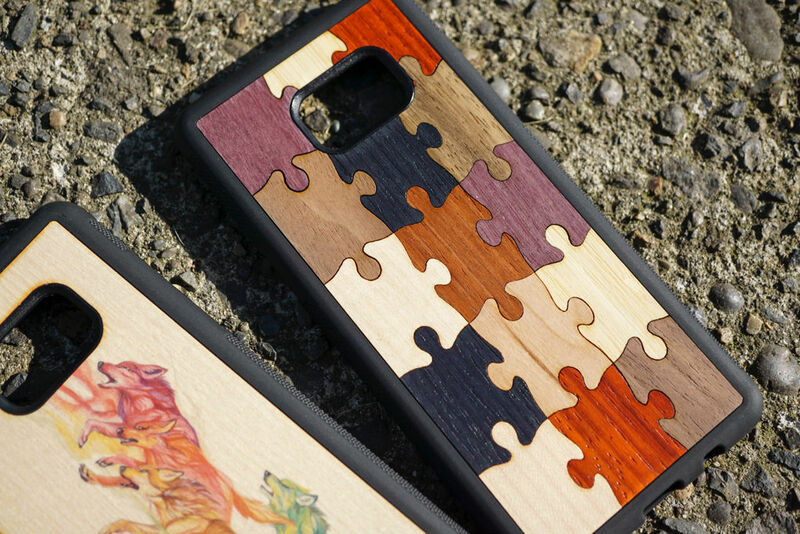 As for the case itself and how it fits on the Galaxy Note 7, it’s very good. 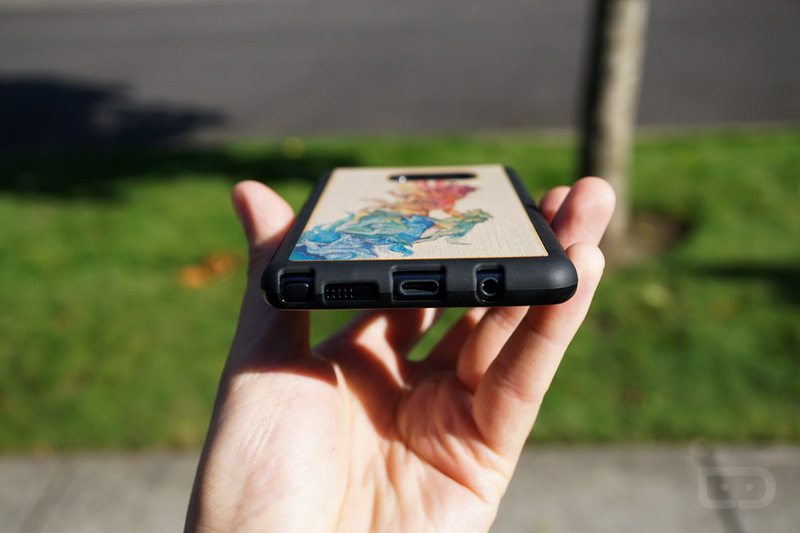 I’m not even a case person, but these fit very slimly on the device, adding a good level of protection for the backside. Of course, your frontside is still vulnerable to damage. 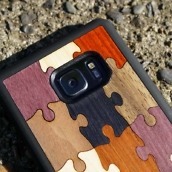 Getting the case on and off is very easy, as the rubber used is quite bendable. 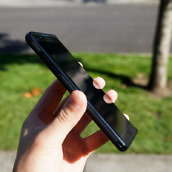 All of the device’s ports are accessible, with the S-Pen still able to go in and out with no problems. 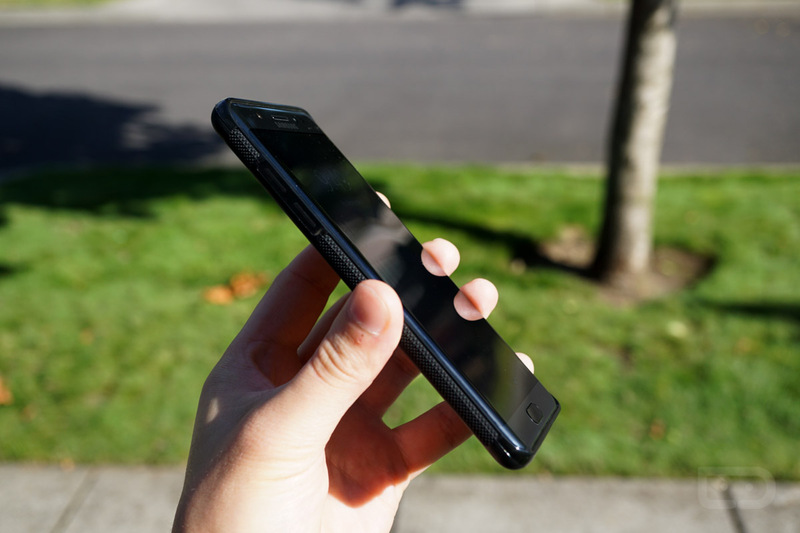 Also, you can still use the 3.5mm headphone jack just fine, no issues there. 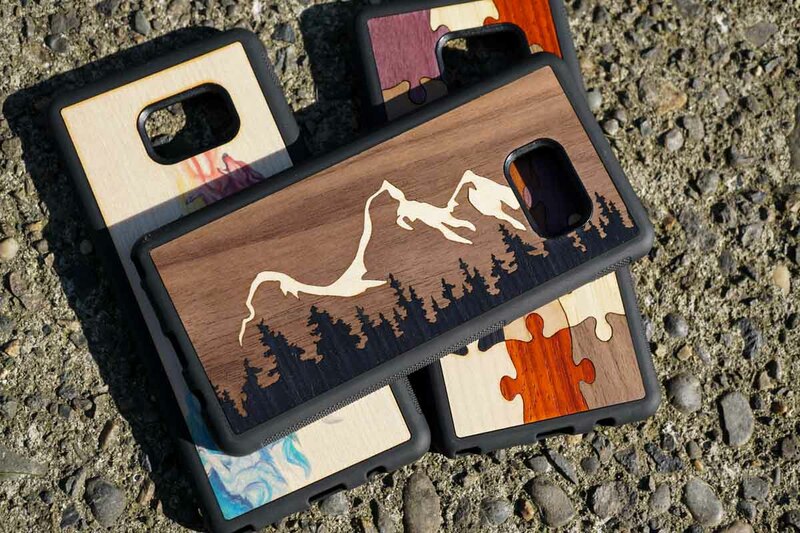 If any of these cases interest you, you can find them available for purchase on Carved’s website. However, we might just be giving these away a little later if you are interested. 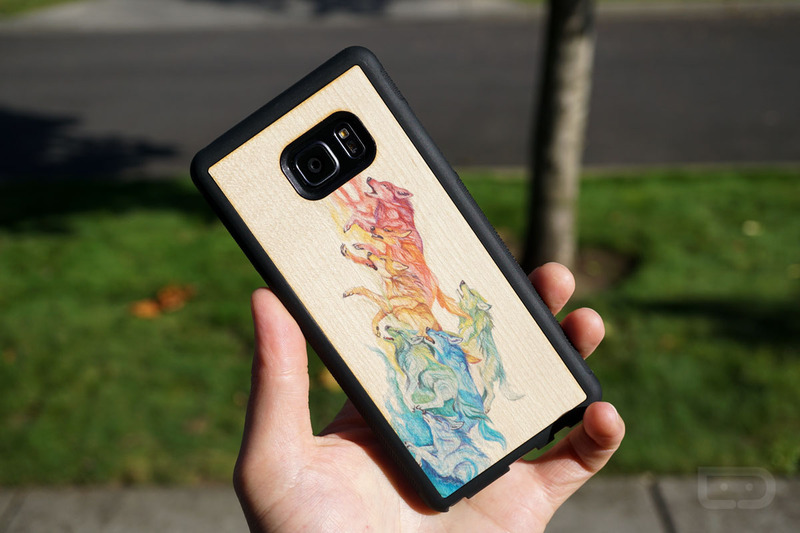 Follow the links below to get yours hands on one of these cases.